You or Someone Close to You has been Hurt? 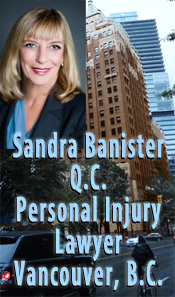 Do You Need A Personal Injury Lawyer? All of these are characterized by some form of wrongful bodily injury to the individual. If you have been injured in a wrongful manner, whatever the cause, you have the right to seek compensation for that injury. Our lawyers are experienced and knowledgeable in all aspects of personal injury law and are aggressive advocates on behalf of our clients. We will pursue your personal injury claim quickly, efficiently and on a cost effective basis. We recognize that pursuing a claim can be expensive. We assist with your disbursements, and we can often take your personal injury claim on a contingency basis, which means that we do not get paid until you get paid. We know that dealing with family law issues requires sensitivity and flexibility. Our approach to family law focuses on finding creative and fair solutions that meet your family's needs. We understand that relationship breakdown is a stressful and emotional time. We can help you guide you through the process of making complex and important decisions about your family's future. We will work with you to figure out the best avenue for resolving your dispute, including negotiation and mediation. If an agreement cannot be reached, you can rely on our litigation experience in court. We can also help you plan your relationship now, to help you avoid or mitigate difficult family disputes in the future. To that end, we are happy to work with you to develop a custom marriage or cohabitation agreement, or to review an existing agreement. 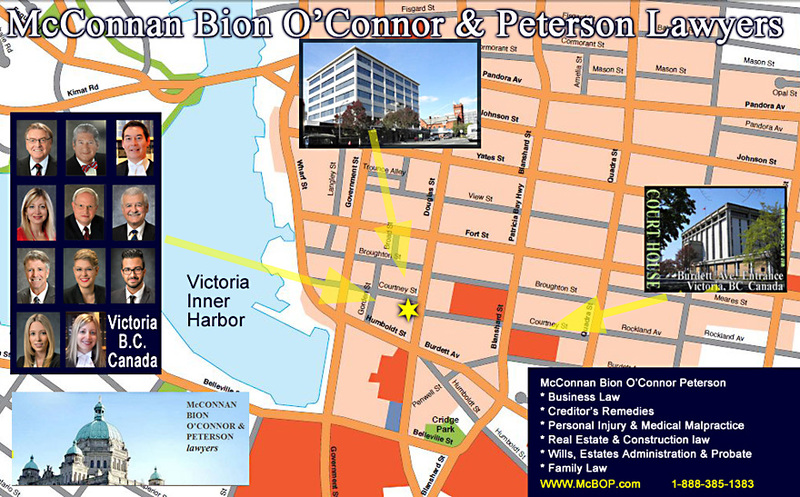 Michael O'Connor, B.A., LL.B., Q.C. Charlotte Salomon, B.A., J.D., Q.C. commercial and business law, real estate development and acting on behalf of commercial lenders both in preparation of security documentation and realization of that security. advising both private and government clients on administrative law and civil litigation issues. He is primarily engaged as senior external counsel for the Civil Forfeiture Office of the BC Ministry of Justice. see also www.lawyersworld.org Victoria probate lawyers.